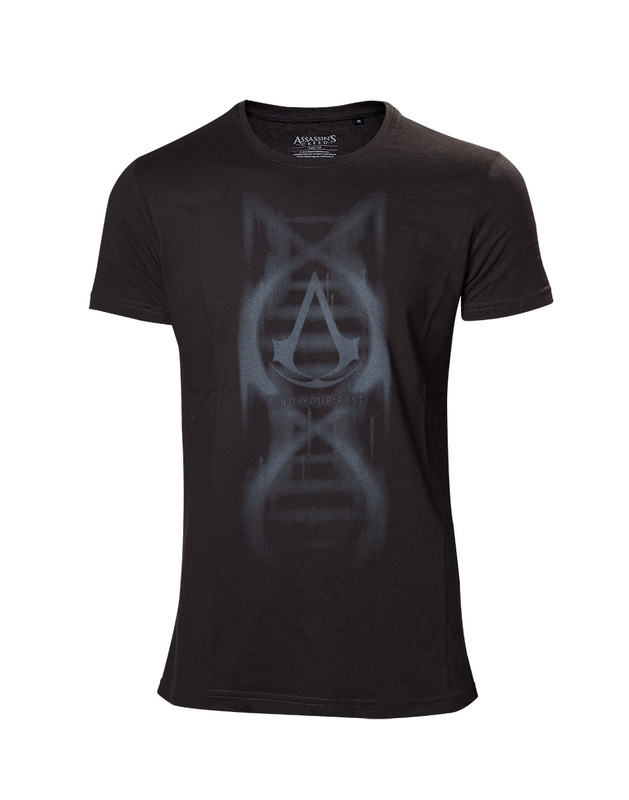 We here at The Ones Who Came Before love Assassin's Creed Merchandise. 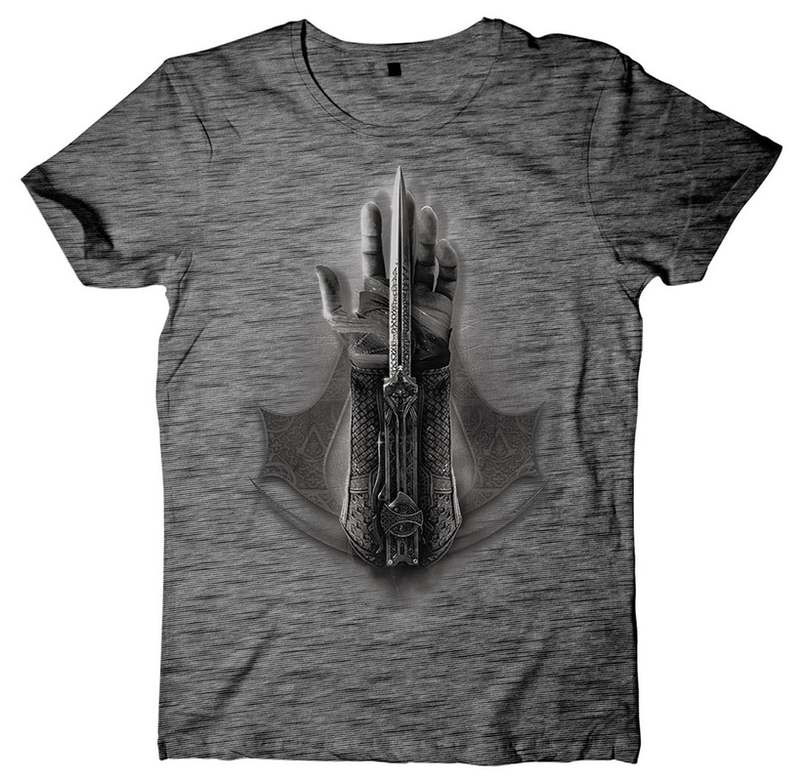 Here we will be logging all the Movie Merchandise we find, and the best places to buy items. Images below come from a range of sources. 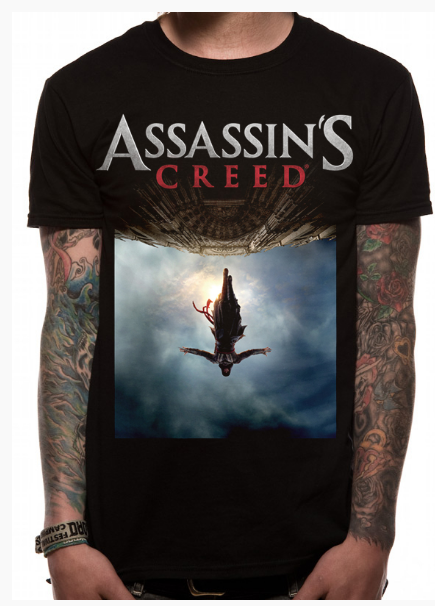 Assassin's Creed Movie: Kernel T-shirt. Currently unavailable on the Kernel Presale website, this T-shirt could be selected in a Ticket Bundle (US only). This T-shirt has also been available at events. 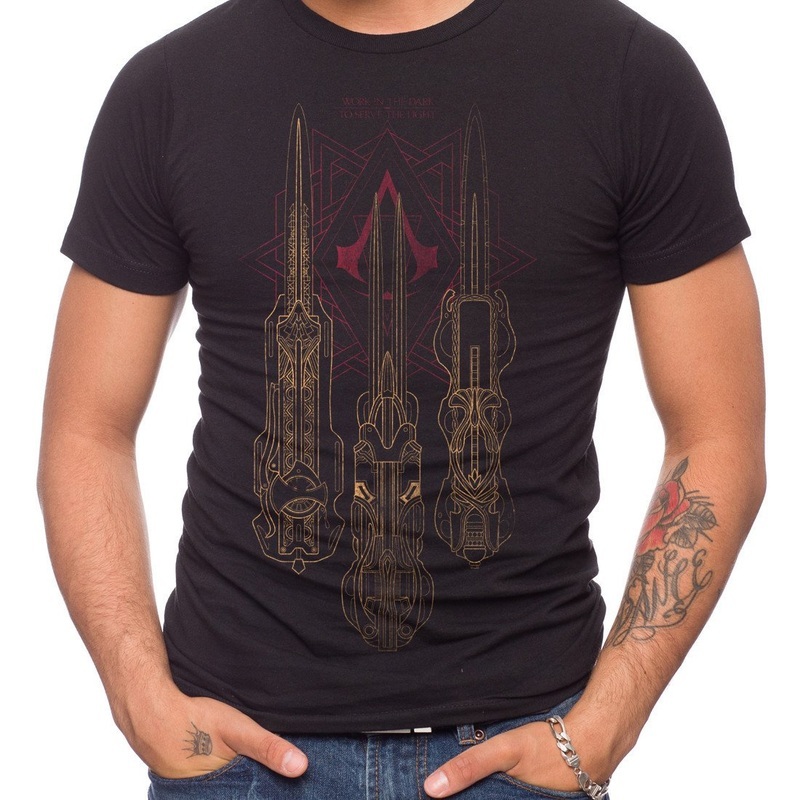 Assassin's Creed - Carved Insignia T-shirt. 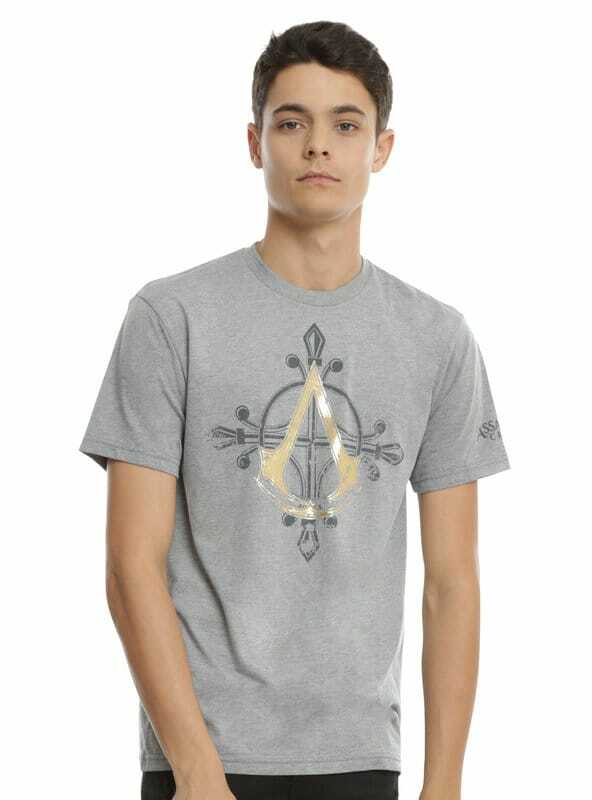 Assassin's Creed: Gold Icon T-shirt. Will be available at Bioworld. Revealed by Ricomincio Da Tre. Available on Jack of all Trades. 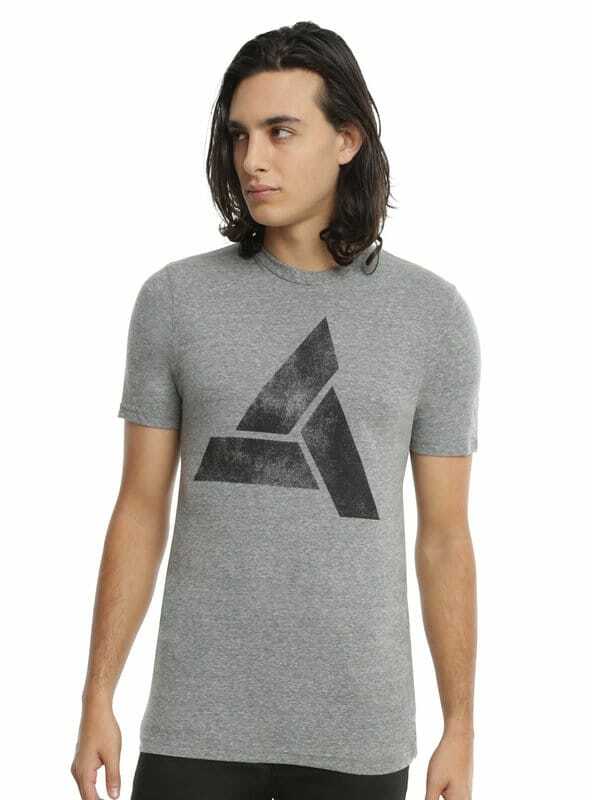 Assassin's Creed: Find your Past T-shirt. 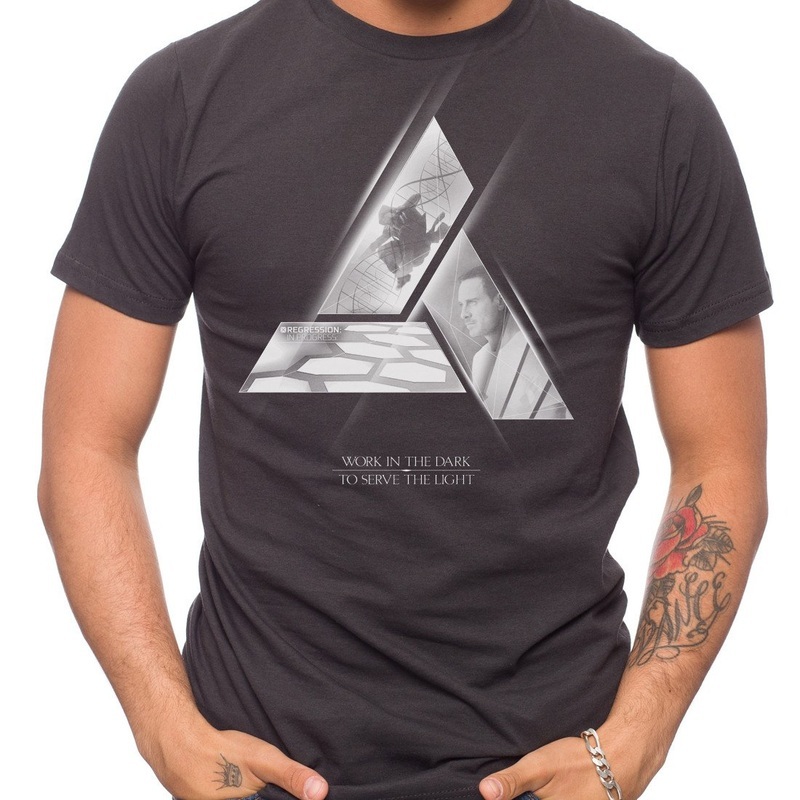 Assassin's Creed Movie: Apple of Eden T-shirt. Assassin's Creed: Aguilar Cosplay Hoodie. Assassin's Creed Movie Hooded Jacket. Available November. Kernel Movie Bundles are currently out of stock. Apple of Eden Replica by UbiWorkshop (Prototype revealed by MeepleMart). Releases December. Available in a Kernel Package for $1200. Extremely Rare! 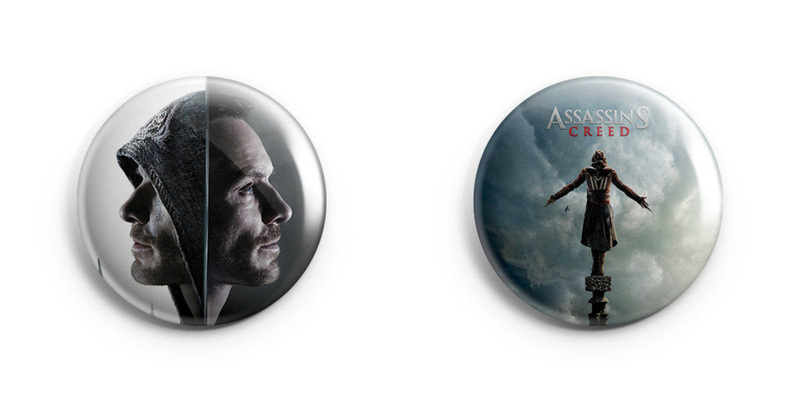 Assassin's Creed Movie Pin by UbiWorkshop. Aguilar Figurine. Available from Uplay Shop. Releases December. Maria Figurine. 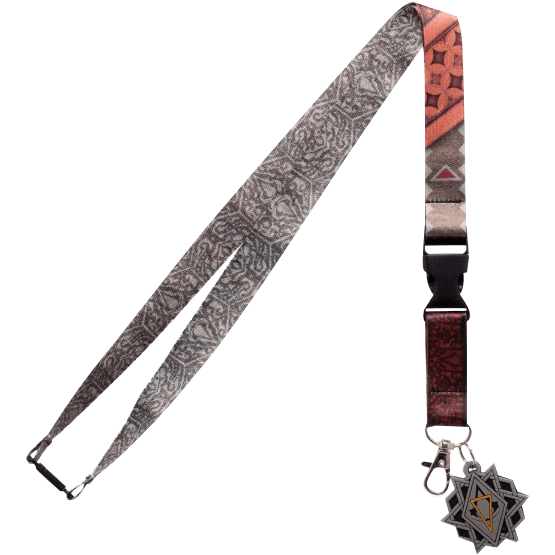 Available from Uplay Shop. Releases December. Hidden Blade Replica by Ubiworkshop. Aguilar's Throwing Knife Replica Gift Set. Assassin's Creed: Into the Animus. Assassin's Creed Movie Poster Book. Assassin's Creed Movie: Tattoos + Watch. These items were sold in a Kernel Bundle for one week only, making them rare. TriForce Aguilar Premier Scale Statue. Available for $600 on Kernel. 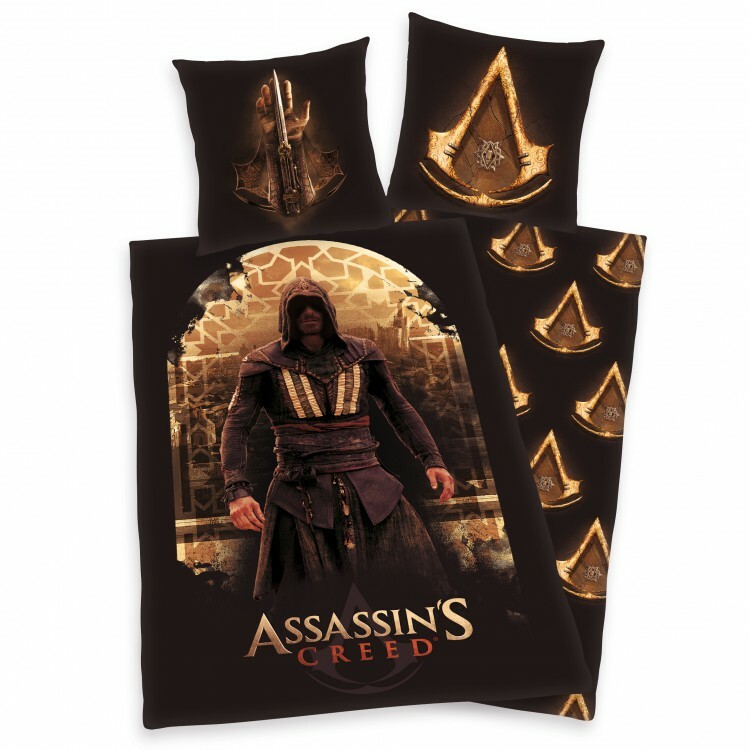 Assassin's Creed Movie Fleece Blanket. 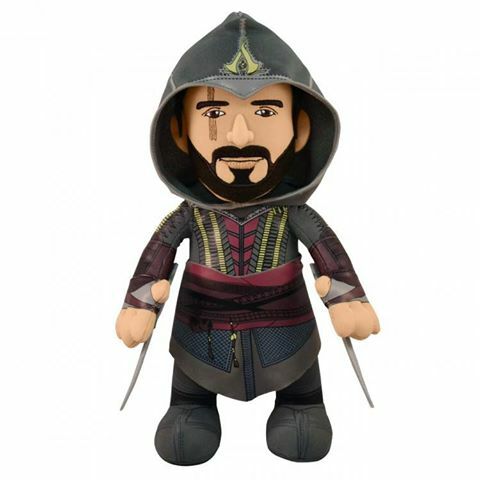 Assassin's Creed Movie Pop Figures. Revealed by Dark Knight Armoury. 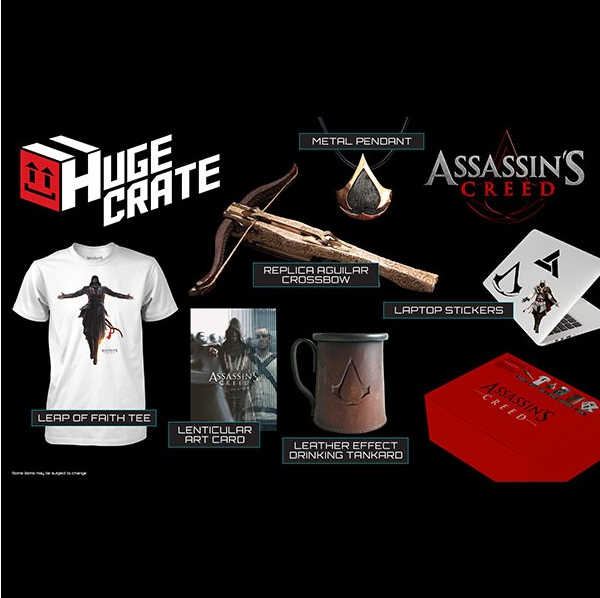 The King of Crates is here, with the Assassin's Creed Huge Crate – filled to the brim with the best Assassin's Creed merchandise. - > A "Leap of faith" white T-shirt displaying the main character performing the emblematic jump from the series. 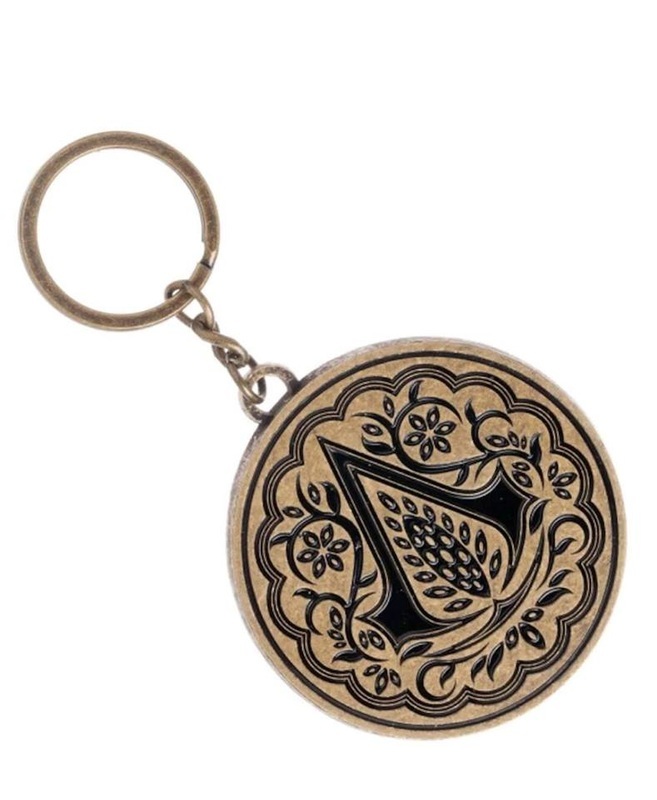 - > A leather effect drinking tankard with the series logo on it. - > A lenticular art card showing the main character in the middle of a crowd. - > A "Leap of faith" Kite. Displaying the main character performing the emblematic jump from the series. 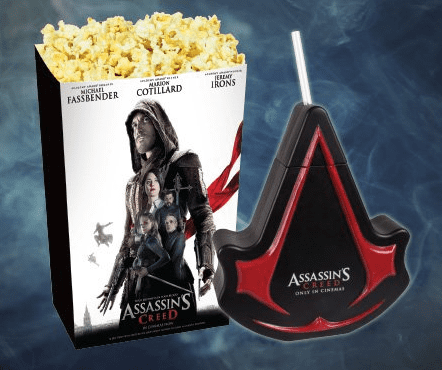 Assassin's Creed Movie: Collectible Can. 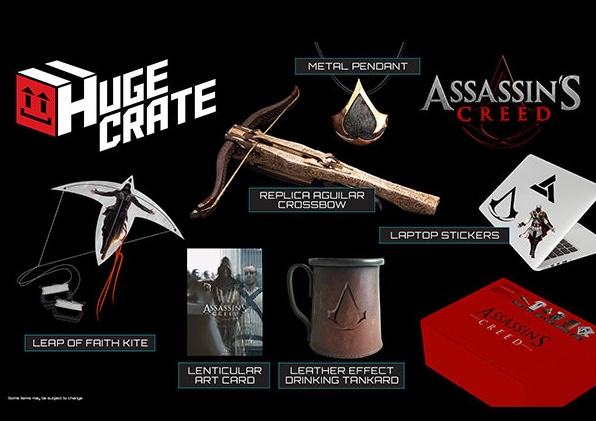 3D Assassin's Creed Movie Limited Edition SteelBook!